Liverpool's Mohamed Salah, centre, celebrates after scoring his side's opening goal during the English Premier League football match against Wolverhampton Wanderers at the Molineux Stadium in Wolverhampton, England, Friday, Dec. 21, 2018. The leaders toiled for much of Friday's clash at a sodden Molineux, with in-form Wolves having won their last three league games to move up to seventh. But Salah's 11th Premier League goal of the season, meaning the Egypt star is now leading the race for the Golden Boot, set up Liverpool's sixth straight win in all competitions. 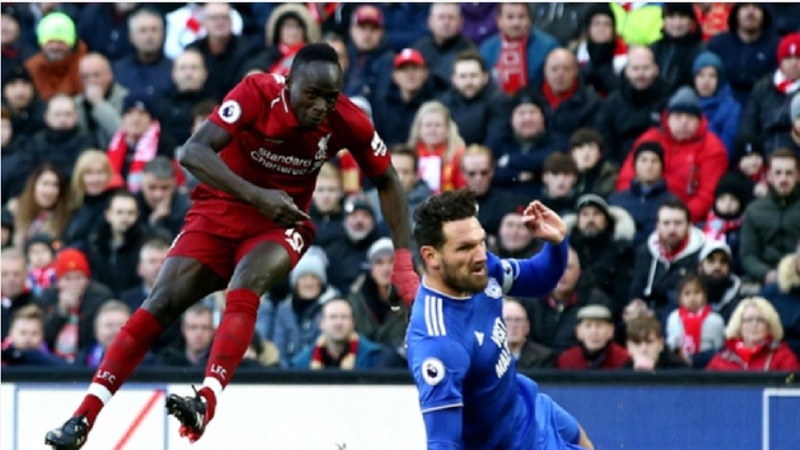 And when Salah crossed for Virgil van Dijk to stab home his first Premier League goal for the club in the 68th minute, Liverpool extended their lead over Manchester City to four points, although Naby Keita's injury was a sour note on a professional performance. Adama Traore fired early warning shots either side of Alisson's goal as Liverpool started poorly. 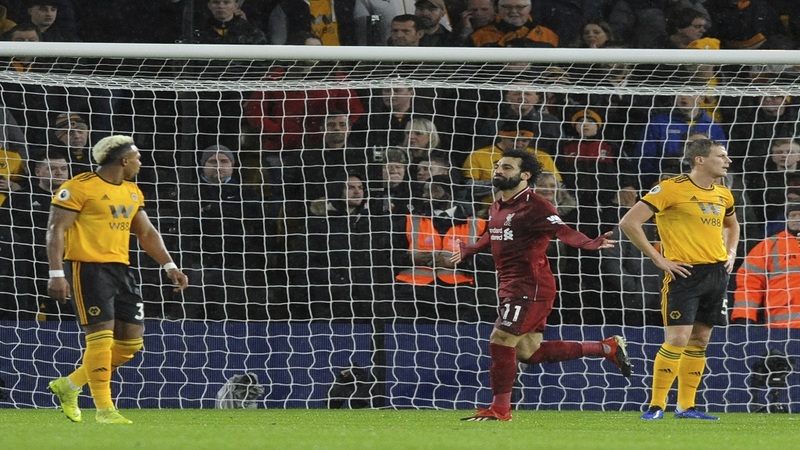 Alisson also made an untidy save from Romain Saiss but Liverpool led in the 18th minute. The hosts continued to threaten, with Jonny Castro Otto and Matt Doherty denied by Alisson before half-time. 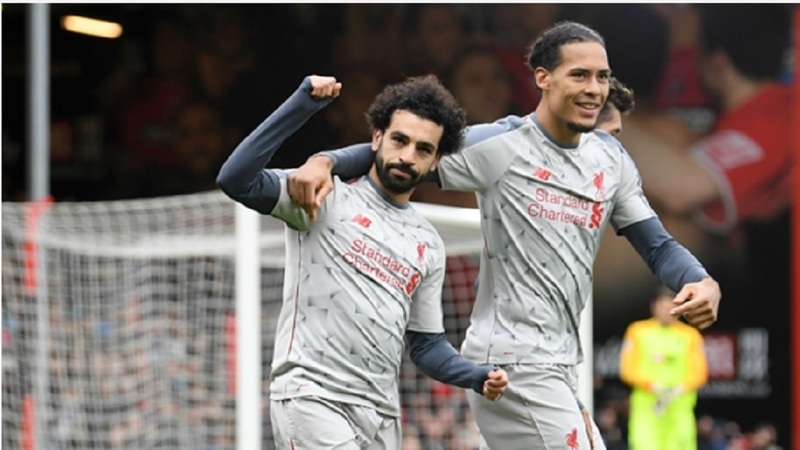 Liverpool clinched the points when Salah's dipping centre from the right was finished brilliantly by a stretching Van Dijk, and although Georginio Wijnaldum shot wide in stoppage time the Reds still piled pressure on champions City. Liverpool march on but Jurgen Klopp will be concerned about Keita as the midfielder was clearly in pain when replaced by Lallana. Joe Gomez, Joel Matip and Alex Oxlade-Chamberlain are already injured, while Trent Alexander-Arnold watched from the stands with supporters. And while the Reds will be top at Christmas, the last team to claim that number one spot without going on to win the Premier League title were Liverpool in 2013-14. Liverpool continue to rely heavily on star man Salah, but he keeps delivering. With five goals in his last four appearances, Salah is hitting top form again after a slow start to the season. The cross for Van Dijk's strike was a peach and Salah's celebrations were no longer muted. Wolves, without Diogo Jota due to a hamstring injury, threatened throughout but two of their best chances came in the first 10 minutes and Traore failed to test Alisson with either effort. Preferred to rising star Morgan Gibbs-White, who hit the side-netting late on after coming on as a substitute, Traore needs to be more reliable in front of goal as his end product is often lacking. 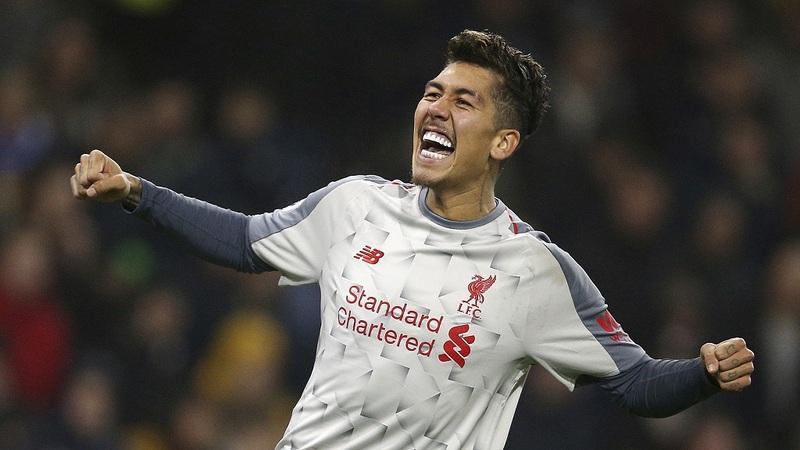 Both teams are back in action on Boxing Day, with Liverpool hosting Newcastle United while Wolves go to Fulham as the Premier League's busy festive schedule continues.